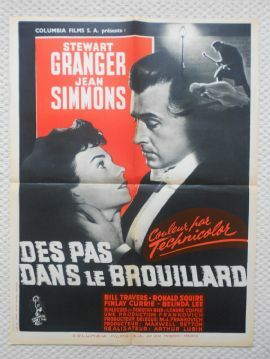 Original 1955 French Petite movie poster from the film ' Footsteps in the Fog '. starring Stewart Granger and Jean Simmons. The poster will be shipped folded between sturdy pieces of cardboard.